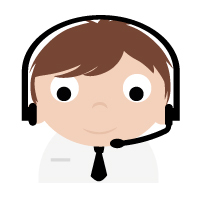 Our experienced support team are always on hand to answer your questions and provide technical support. To contact our support team please call 0845 351 1829 or email support@healthcaregateway.co.uk. The MIG support office hours are 08.00 – 18.00 weekdays and 09.00-13.00 on Saturday. The office is closed on Sundays and bank holidays. To view live updates on the availability of enhanced MIG services, please subscribe to the MIG status page. You can choose how you would like to receive updates from us and in the event of any major incident; the status page will provide regular alerts until the issue is resolved. You can also receive updates by following the support page on Twitter or registering for our email notifications. If you have any questions about a particular incident please call our support team on 0845 351 1829. To log a new request or to view an existing service request, please use our online portal. The online portal provides a list of all the active calls. Using the ‘View Call’ summary screen you will be able to find your support request and view additional information. This feature allows you to communicate with our support team about an ongoing request. It provides an alternative communication channel, which automatically alerts the support team when a new note or action is added to the request. Please note, for urgent queries we recommend that you call us on 0845 351 1829. We will be undertaking necessary maintenance of the MIG on the following dates. Maintenance will take place between 12.00 and 13.00 on each of these dates. If you require further information please call 0845 351 1829 or email us.